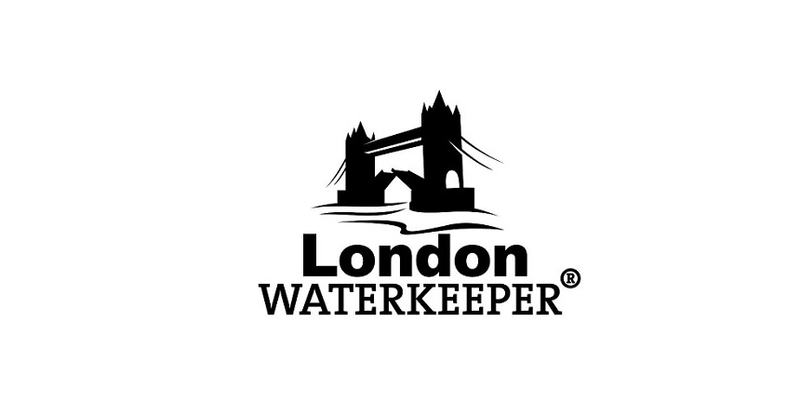 London Waterkeeper is the truly independent voice for the city’s rivers. The registered charity has been founded by Theo Thomas, it’s Chief Executive. It’s what London Waterkeeper is for that is important – rivers in parks that are free of sewage fungus. Homes that send their waste water only to sewage works and clean efficient industry that abides by all environmental laws. Only then will we have thriving rivers that are a boon to London. Pollution in the Brimsdown, from an industrial estate. Enfield. Dee lives by the River Lea in Hackney, East London. 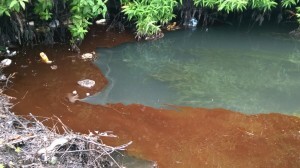 She contacted Theo when he was running “Love the Lea” with Thames21, after noticing how polluted the river was. She started volunteering on the project – testing the water outside her house. When Theo set up London Waterkeeper, Dee supported his vision of an independent voice for London’s rivers and became a founding trustee. Dee is a keen hiker and has recently qualified as a Lowland Leader with Mountain Training. She is also co-director of The Brokedown Palace, an outdoor lifestyle business with two London shops. They supply sustainable clothing and accessories, as well as zero waste products. One of their brands is Patagonia, who support London Waterkeeper as part of their grants programme for grassroots environmental organisations. At University Michael studied Civil Engineering and two years after graduating joined Price Waterhouse and qualified as Associate of Chartered Accountants (ACA) in August 1992. He left Price Waterhouse in 1996 after a six-month secondment to Paris working in audit. Michael has worked in the service or charity sector since then with over 20 years’ experience. Michael is a Finance Director with significant experience in the charity sector, business services sector, specifically IT and Real Estate. A business partner responsible for international and UK based businesses with full P+L management. Michael has been involved in commercial activities such as bid reviews, contract negotiations, pricing and contract compliance for large customers. He has experience in offshoring, shared services and divestment as part of large change programmes. Chris is a hydrologist with significant experience of working for major consultancies within the environmental sector. He is a post graduate of the natural sciences, a lifelong environmentalist and defender of the outdoor environment. He likes to observe and explore his surroundings, travel to new locations and immerse himself in other cultures. His professional and personal ambitions have driven him towards caring for the environment which led him to become a trustee of London Waterkeeper. Jack Pinter is the Director of Square One, which delivers innovative learning initiatives, projects and events designed to transform and revitalise the world of work. Jack began his career as a musician, and has appeared with Yoko Ono, Boy George and Siouxsie Sioux. He has toured with Marianne Faithfull and Tim Robbins, with whom he headlined at the Blues festivals across Canada, the USA and Australia. Jack has also played with a wide range of artists including Tom Waits, Anastacia, Dizzy Gillespie, and blues legend Joe Williams. Jack has composed music for film, television and for productions by The Royal National Theatre, Manchester Royal Exchange and Nottingham Playhouse, and many other theatre companies. Every time you buy Hairstory products using this link London Waterkeeper gets a 20% donation from the sale!